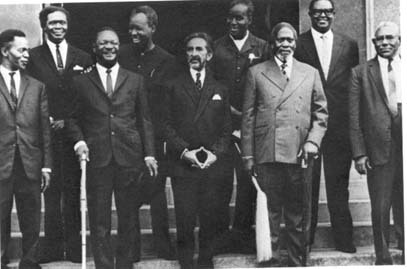 The convening of the Conference of Independent African States in Ghana, where responsible statesmen representing a free government are gathering to consider common problems, is a great and momentous event. As an integral part of the African Continent, Ethiopia looks back with pride to the role which she has played in the history of the development of Africa, and looks forward with confidence to the future of this great continent. In her long and glorious history, Ethiopia, has time and again, had to struggle against overwhelming odds to preserve intact her traditional freedom and independence and to guarantee from generation to generation the right of free men to work out their own destiny without interference or hindrance. 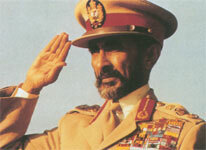 The world is only now coming to realize what Ethiopia and Africa have long recognized, that peace, independence and the prosperity of mankind can be achieved and assured only by the collective and united efforts of free men who are prepared to maintain eternal vigilance and labour unceasingly to protect these most precious of God's gifts. The sympathy and support which Ethiopia received from other African peoples when she was invaded twenty-three years ago is ample testimony of the strong sentiments which unite all free African countries. In our own lifetime the world has undergone changes more sweeping and striking than those seen during any similar period in history. Technical and scientific advances have combined to raise mankind to a level of material achievement never before realized. It is the duty and responsibility of the Independent African States to further this development and to bring the benefits of modern civilization to increasingly large numbers of people in Africa. However, as man's capacity to improve his own lot has grown, so has his power to spread havoc and destruction correspondingly increased. The Independent African States must assure that the growing weight of Africa is enlisted on the side of peace and justice to the end of avoiding a third holocaust which could well engulf the entire world and result in the total destruction of mankind. But dwarfing even man's material achievements in the twentieth century has been the emergence of peoples all over the world into freedom and independence. Today, for the first time, men everywhere to whom freedom and independence were, but a short time ago, only words, and for whom economic and political self-determination were no more than far-distant goals, have achieved the status of free men and are directing their efforts and energies to their own advancement. We are particularly gratified and proud that this development has been so marked and widespread on the great continent of Africa. Africa will no longer be the "unknown continent", for its human and material resources are beyond measure, and this great continent now stands on the verge of an economic, political and cultural development which, when realized, will be without parallel in history. In this development, Ethiopia will have its own particular, and we feel, important role to play. 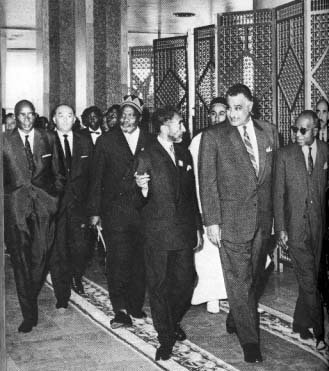 It is for this reason that we have charged Our beloved Son Prince Sahle Selassie with the high mission to be Our personal representative and the head of the Ethiopian Delegation to the Conference of Independent African States. Ethiopia knows how hard-won is independence and how vital it is that men be jealous of their freedom and be ever prepared to defend it. Ethiopia knows, as her history has taught her, that the world is small, and that co-operation among all nations of the world, East and West alike, is not only possible and desirable, but indispensable for the welfare of mankind. Ethiopia knows that the willingness of the Independent States of Africa to co-operate and work together in solving their common problems and achieving their common goals is essential to the continued progress of the African peoples. It is a propitious omen for the future that at this very moment the free nations of Africa are giving tangible evidence of their determination to work together not only for their own good but for the good of Africa and the entire world. The task is great. It demands wise judgment and statesmanship of the highest order. It requires unceasing labour, a dedication to fundamental principles and objectives and a determination to overcome all obstacles, however large. He who suffers conquers, and in the final resort, wins the crown of victory. We pray that Almighty God will bless the Conference with strength and wisdom and crown its efforts with success.